Kynzlie Miles Bradley born 10:39am 8 Ibs 10 ounces. 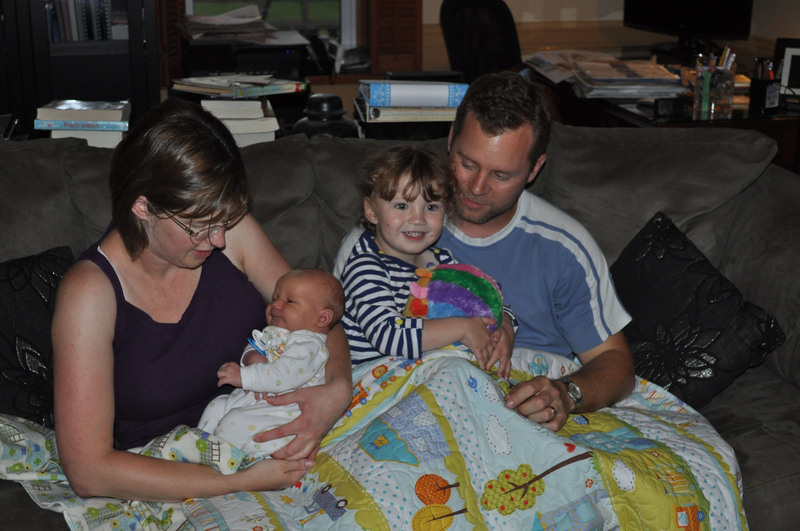 Sgt Matt and his wife, Dyanne, gave birth to their daughter on Oct 30/14. Logan Joseph Michael Brown, born at 8:14pm, 6lbs 14.5 oz. 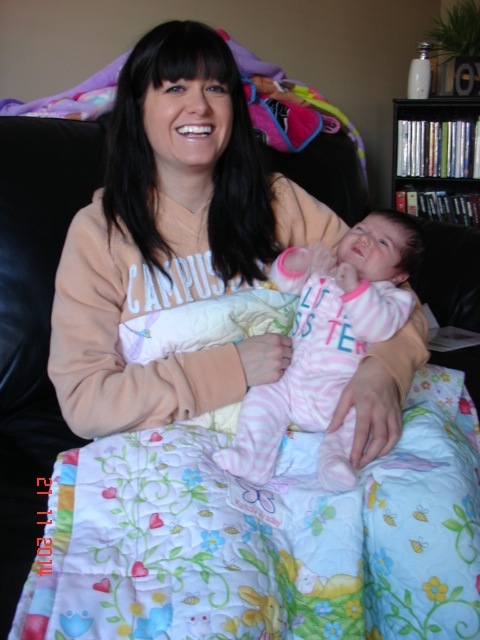 Kim Brown and baby are doing great! 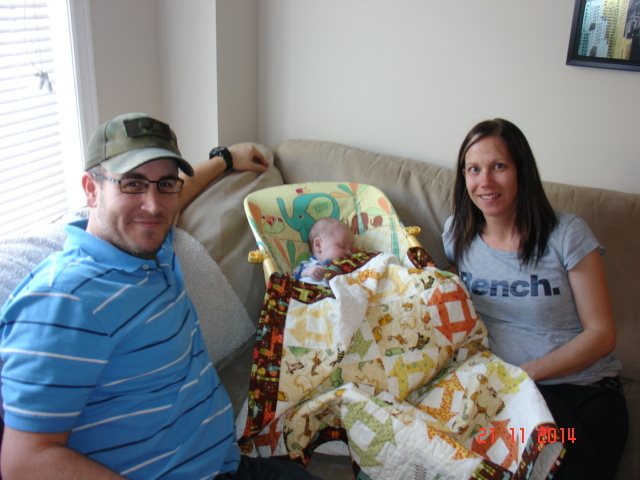 Sgt Adam Brown and his wife, Kim, gave birth to their son on October 21st. FOR THE NINTH CONSECUTIVE YEAR CANADA POST WILL PROVIDE FREE REGULAR PARCEL SERVICE FOR FAMILY AND FRIENDS OF DEPLOYED CAF MEMBERS FROM 14 OCT 14 TO 16 JAN 15. PARCELS WILL BE DELIVERED FREE OF CHARGE FROM ANY CANADA POST RETAIL OUTLET TO DESIGNATED CAF BASES, WHICH WILL BE FORWARDED THROUGH THE CAF POSTAL SYSTEM TO CAF MEMBERS OVERSEAS. ADDITIONALLY, CANADA POST WILL ALSO CONTINUE PROVIDING FREE DELIVERY OF LETTERS TO DEPLOYED TROOPS UNTIL DECEMBER 31 2015. THIS OFFER IS RESTRICTED TO THOSE OPERATIONS SERVED BY THE BELLEVILLE ONTARIO K8N 5W6 ADDRESS AND TO ANY DEPLOYED CANADIAN SHIP. 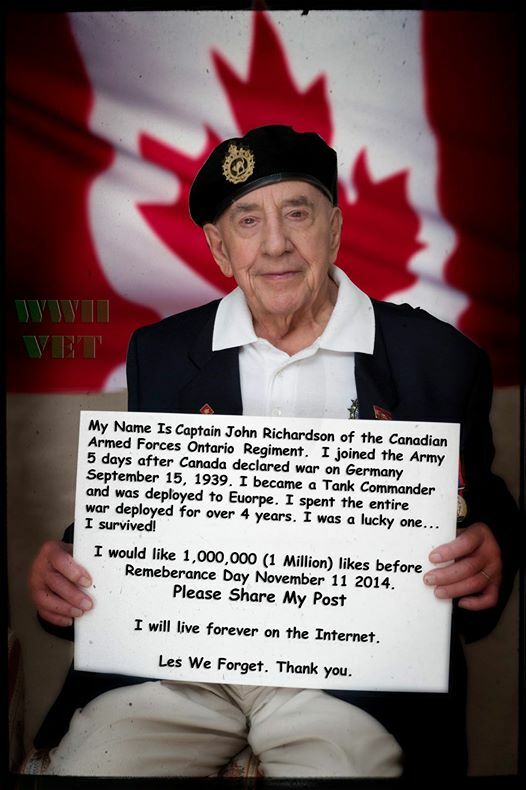 ADDITIONAL MAILING GUIDELINES ARE AVAILABLE AT THE “WRITE TO THE TROOPS “LINK FOUND AT WWW.FORCES.GC.CA. TO ENSURE THE PROPER CUSTOMS DECLARATION FORMS AND CORRECT ADDRESSING INFO, ALL LETTERS AND PARCELS MUST BE DEPOSITED AT A CANADA POST RETAIL OUTLET. MAIL DEPOSITED IN STREET LETTER BOXES WILL NOT BE DELIVERED. THE USE OF THE CAF POSTAL SERVICE FOR THE PURPOSE OF SHIPPING CHARITABLE GOODS/HUMANITARIAN AID IS NOT AUTHORIZED. Congratulations to the Routleys. Paige has a new baby brother. 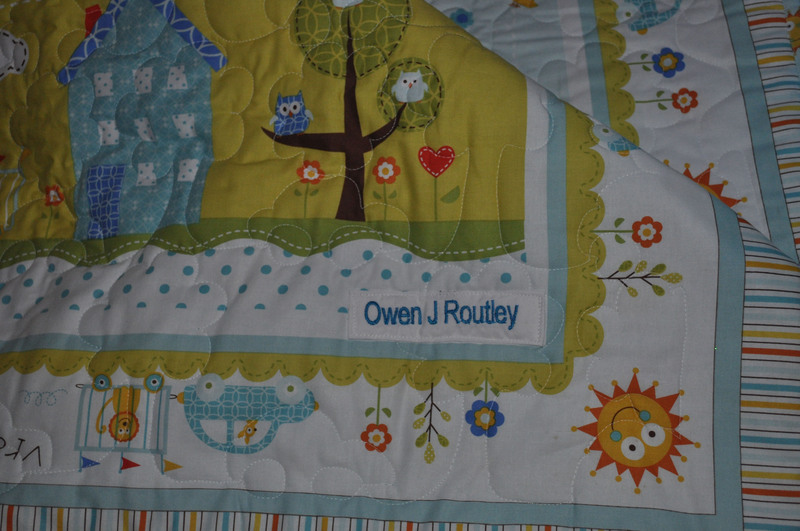 Teresa Allman (the lady who made the magnificent Poppy Quilt) had created a baby quilt for new Owen. Teresa is donating her lovely work(wo)manship by allowing the 56 Family Support Group to present one of her quilts to soldiers' families who have new arrivals. Thanks so much Teresa. You are one special lady!